It’s frustrating to find job offers looking for a UI/UX designer. While these two skillsets are closely related, their skills don’t always overlap. A quality UI designer may not understand user experience psychology. Just like a top-tier UX designer might not be a master of Photoshop or Sketch. But there is a good amount of overlap, and to be a great UI/UX designer you’ll need to dip a toe into both worlds. In this guide I want to comb over the fundamental skills that you should learn to promote yourself as a quality UI and/or UX designer. Job security is much easier when you can alternate between both roles. And it’ll be easier for you to see the big picture in any creative project. If you want a quick overview of specific features I highly recommend browsing this UX checklist. Remember that a UI/UX designer speaks for the user. But you are not the user. This is an important distinction because most people using your product will not have the same expertise. This is why usability testing can be so important. Ask users directly what they like and don’t like. Gather feedback. Try to find the root cause of their issues and make only the necessary changes. Every great UX designer will be a true advocate for the user. The user experience goes beyond a glossy interface to encompass how the UI feels, behaves, and responds to user interaction. Pay careful attention to the details and be willing to scrap ideas even if you think they’re great. In a situation where you like something that most users don’t it’s generally wise to drop the idea and rework it a little. Listen to the user’s complaints and try to understand what they’re really saying. This is true of both UX and UI designers, although most user testing involves the UX side of things. A pretty interface means jack if it can’t operate properly. Advocate for the user through your words and actions. This is ultimately the #1 requirement of a UX designer. It’s a tough skill to nail down because it’s not exactly a specific skill. But I’d say having an open mind and being willing to rethink ideas will help you understand the user’s perspective much easier. Here are some related links to read more on this. Perhaps the most valuable skill of any designer is visual communication. Most designers get ideas in their head and need to explain these ideas to project managers, developers, or other designers. Being able to sketch is a great skill to have for this very reason. 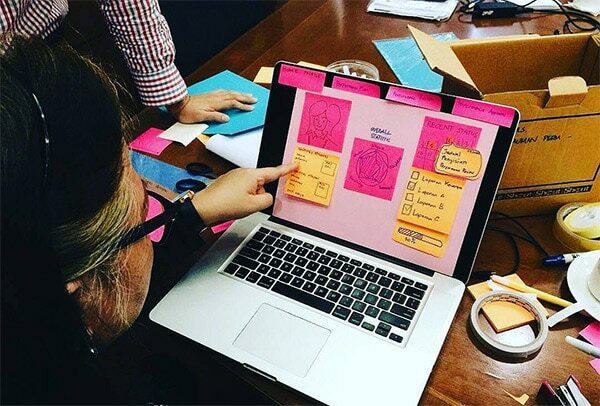 But you can also communicate ideas digitally by creating digital wireframes, mockups, or interactive prototypes. The tool or medium you use to create visual assets really doesn’t matter. Naturally it’s great to have many tools in your toolbox. 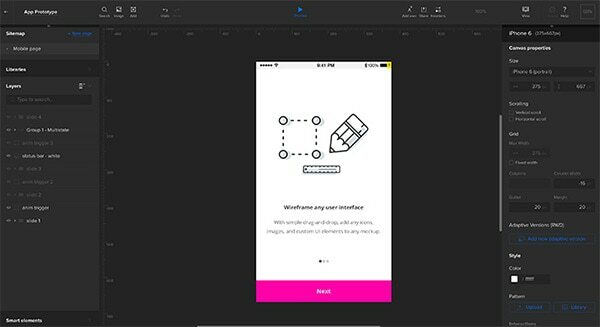 But if you don’t know Photoshop and only use wireframing tools this can work fine. It’s very important to communicate your ideas visually to the design team & the development team. It’s possible to do this with words but you’ll have a much easier time showing rather than telling. Be able to communicate with business and marketing guys too. This means using layman’s terms to explain more complicated features. Explain what the UX plan is to everyone using whatever visuals or words necessary. One part of this is to master a visual medium(whether sketching or software). The other part of this is communication. Just because an idea makes sense to you doesn’t mean it’s being explained properly to make sense to others. Ask your team and clients if they need clarification on anything. Don’t let anyone sit there nodding too afraid to speak up and ask questions. Soft skills are vital to UX work. Learn to love communication and your job will be that much easier! Not all UX designers know how to use Photoshop, Sketch, or Illustrator. But every UI designer should know at least one of these programs. The differences between these two jobs are small but noticeable. 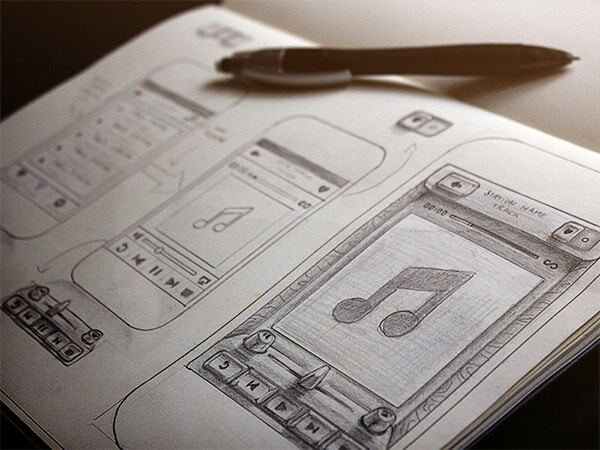 UI designers must create visuals whether icons, logos, or interface mockups. UX designers are more concerned with how these interfaces behave and how users complete their objectives. But if you’re going the UX design route it’s still wise to study Photoshop or Sketch(or both). Just mastering one of these programs will help you express your visual ideas much clearer. You’ll also be much more lucrative to employers. And with so many online tools it’s important to branch out when needed. Desktop software like the Adobe suite is crucial to the design process. But UI/UX platforms like InVision and UXPin can both prove vital to your portfolio of skills. These are tools for rapid prototyping and creating interactive demos from scratch. You can accomplish this same task with a frontend library like Bootstrap, but not all UX designers want to learn coding. Truthfully it doesn’t matter how you create prototypes. But if you have a broad range of skills using various design programs your resume will be much more lucrative. One last tool I’d recommend learning is a digital UX animation program. 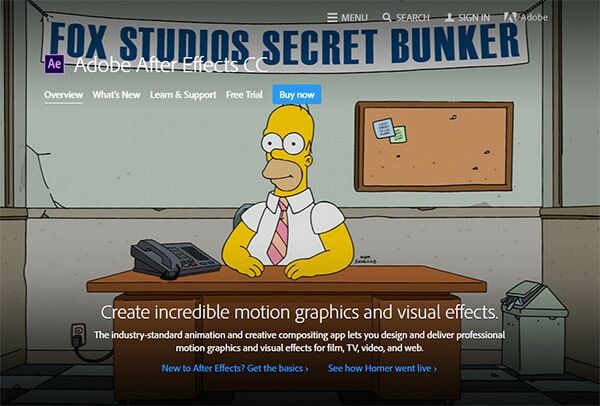 The two most popular choices are Principle and Adobe After Effects. These programs let you import digital mockups and manipulate the layers to create custom animations. Check out this TutsPlus tutorial if you want to learn more. It’s not easy picking up all these programs but you’ll be thanking yourself later. A great UI/UX designer should be thinking about every step of the design process. 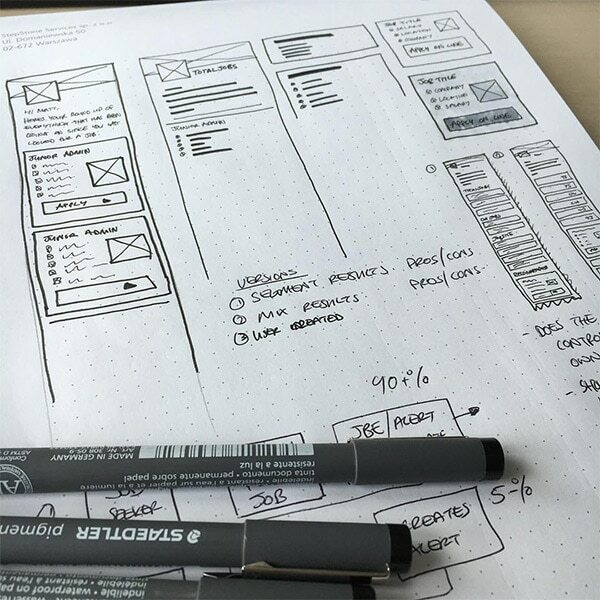 It starts with wireframing and prototyping, then moves through digital graphic/UI design into full interactivity. These animation programs allow you to simulate interactivity without actually building a demo interface with code. Project leaders like to see these kinds of assets and your skills will prove invaluable to the process. Being empathetic seems very abstract but it’s quite powerful. If you can empathize with users you’ll be able to understand their concerns, their struggles, and their complaints with an interface. The best UX designers consider the target audience for any given project. The user experience design for a dating website will be very different than the UX for an RPG video game. Think critically about your target audience to contemplate and understand what they need. Interpret the individual problems of each project and consider the target audience by understanding how they think & act. This is a difficult skill to teach because it requires awareness and understanding. When you watch a user interact with a website you should catch all the little details and nuances about their behavior. If something was difficult for the user they’ll definitely complain during user testing. But a complaint is a problem, not a solution. As a UX designer your job is to gather user feedback and interpret what it means to come up with real solutions. Practice by surfing the web and browsing other websites. Write down your complaints. Don’t be afraid to ask “why” every step of the way. Think about why something behaves the way it does and how it could be improved. With all the advancements in web technology UI designers can do anything. So technically there’s no limit to the question “what can we do?”. But not every choice will be a good one. Ask yourself “why are we doing this?”. If you can’t come up with a valuable reason then it might not be a great choice. Critical thinking is vital and should be applied to the entire creative process. If you’re struggling to understand empathy in design check out this post to learn more. It’s all about practice and application to get a better idea of how interfaces work. Answers aren’t always binary yes or no. They’re usually fluid in the sense of “yes this kind of works, but could be improved by X”. To delve deeper into the psychological aspects of UX design read through some of these posts. Not all of these skills are mandatory to get your first UI/UX job. But if you ever want to become a great UI/UX designer then you’ll really want to branch into all of these areas and develop your skills as much as possible. UI designers are concerned more with visuals while UX designers care more about the experience. However both jobs overlap quite a bit. If you can technically fill both roles you’ll be an incredible asset to whatever team you join.